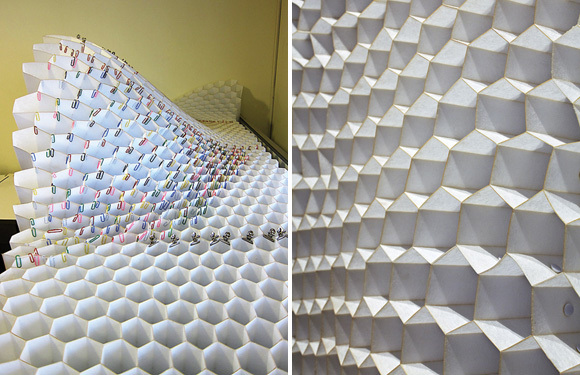 I want to play with this honeycomb furniture/art/textile/construction by Noiz Architects. This was designed and constructed for the lobby of Le Méridien Taipei in Taiwan. It is the corporate mandate of Le Méridien to attract the ‘creative guest’ and this would definitely pull me in. I love the volume that is created with very little material, like a Menger Sponge which has infinite surface area and zero volume. Its reminiscent of Sonjie Solomon‘s work, but where her constructions feel like clouds, this feels more substantial. I love that this is largely handmade, Computer designed and laser cut, yes, but then assembled with glue and paper clips. There’s a good story and more pictures at Interior Design, more pics at Noiz Architects. 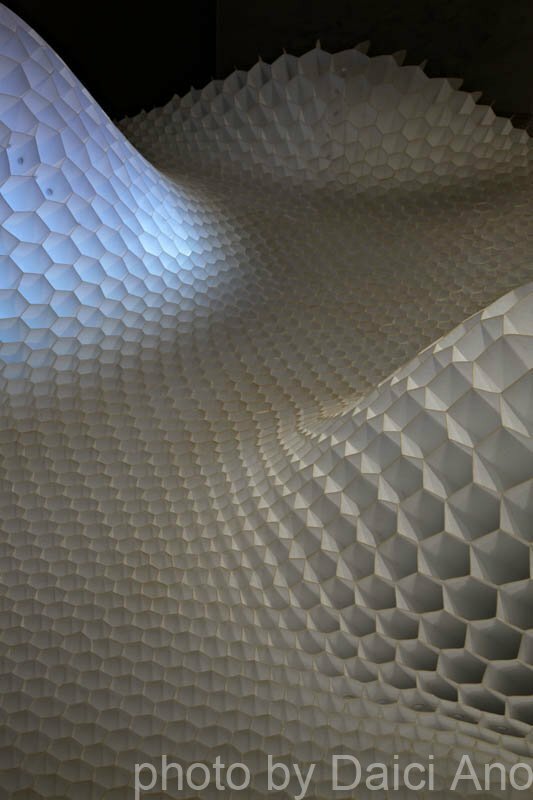 This entry was posted in 3d textile, Architecture, Art, craft, design, engineering, structure, Textiles. Bookmark the permalink.